The Designer Mailbox range is made from high quality die-cast aluminium, two models are available in Matt Black and Iron Grey. The Designer 2 is Suitable for securing to an outside wall. 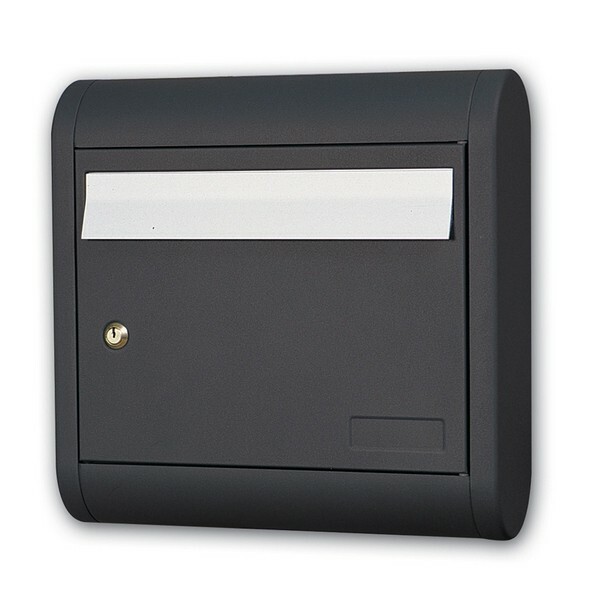 Alubox Designer 2 Black Postbox. Offers a large capacity for your mail. Also made from high quality die-cast aluminium. Front loading A4 letter slot. Suitable for wall mounting, fixings are included. Free Delivery to UK Mainland 1-3 working days. External ( H x w x D ): 395 x 395 x 120mm.